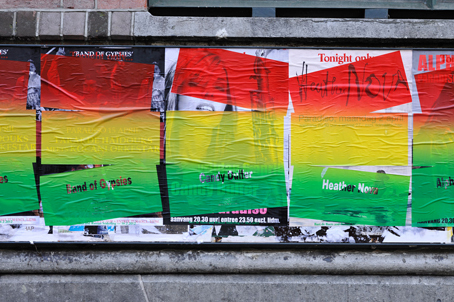 Rustan and I made a series of posters as part of a series of art interventions on regular Paradiso club nights. 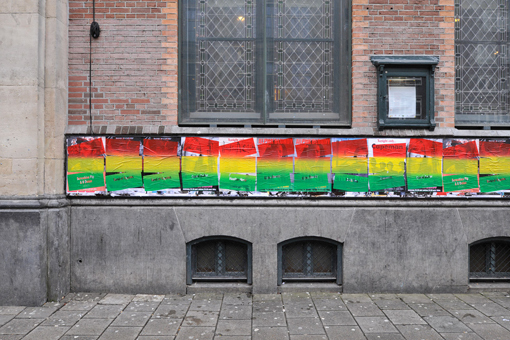 Since both him and I despice reggae to the bone, and think it's all the same song anyway, we proved this vicious statement by screen printing a rastafari flag on top of existing posters advertising Paradiso's events for the upcoming month. We titled the poster series Tonight Only. 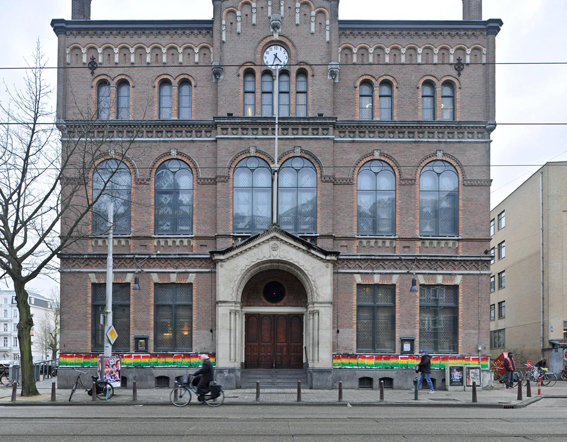 Kees Maas screen printed the posters in his studio in Amsterdam Noord.